Neste has conducted a field study on migrant workers in Malaysia, in order to improve social risk assessment and social sustainability within its supply chain. Findings of the study, carried out in collaboration with Business for Social Responsibility (BSR), will also form the basis for an upcoming workshop on social issues for palm oil suppliers. The social study, focused on migrant labour issues, took place on two plantations belonging to different palm oil companies located in Sabah on Borneo Island and Johor in Peninsular Malaysia. A team consisting of Neste and BSR sustainability experts surveyed the situation of local and migrant workers using a social assessment questionnaire developed during a preliminary research phase. "During the field visits we interviewed foreign and local plantation workers, local and central management, as well as a recruitment agency," explains Simo Honkanen, Neste Senior Vice President, Sustainability and Public Affairs. 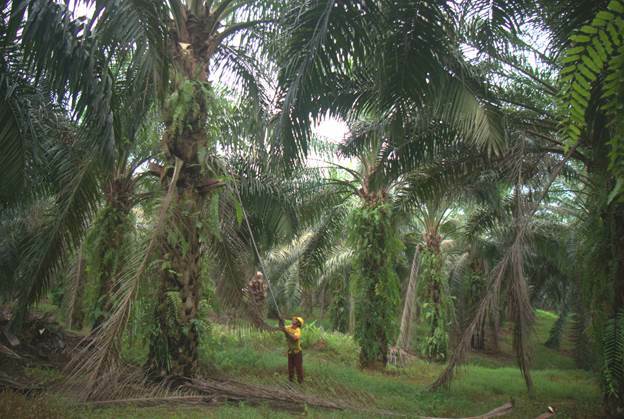 "The study is a valuable learning experience that enables us to improve our understanding of the situation in oil palm plantations, as well as provides important insights in terms of further actions for our social due diligence." "We are currently reviewing the data and findings from the study will be used in the development of an action plan on social issues and to improve social risk assessment in our supply chain," says Honkanen. The study will also serve as the basis for a workshop organized by Neste in November this year. The workshop will bring together palm oil suppliers, certification bodies, NGOs and other stakeholders to discuss feasible action plans on the improvement of migrant worker issues and to develop a mutual standard on social and labour practices.